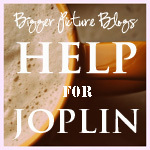 Welcome to the Help for Joplin Auction. For details on the who, what, when, and how please visit this post. 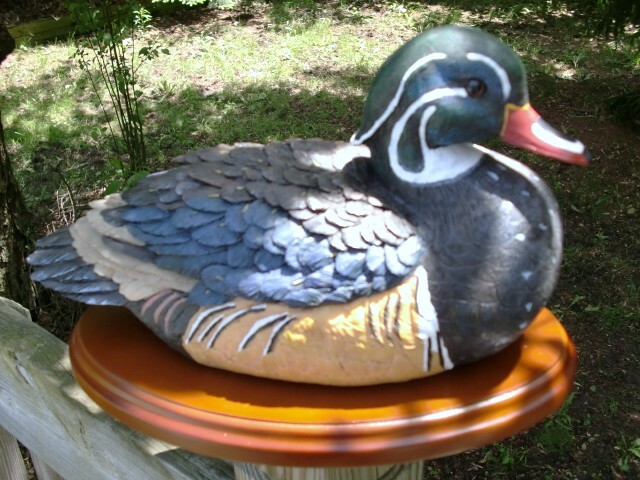 Donated generoursly by an auction particpant and his grandkids who love to go on youth hunts, this hand-painted cast resin wood duck decoy would be a perfect present birthday, Christmas or Father’s Day present for the hunter in your life. Donated specifically in honor of the childen of Joplin. Bidding starts at $10 and increase by increments of $1. Your comment is your bid, please state how much you are bidding in the comment. If you are the first comment it must be at least $10. Each additional comment must bid at least $1 more than the previous comment. Please be as generous as you can! This is not about getting a good deal; this is about raising money to feed and house the people of Joplin. The Auction will remain open for through 7 p.m. on Friday May 27. Winners will be notified by email and will have 24 hours to make their payment before we move on to the next highest bidder. Payments will be made as a direct donation to The Salvation Army listing the specific use as JOPLIN RELIEF. Your emailed receipt from The Salvation Army is your claim ticket to your prize. 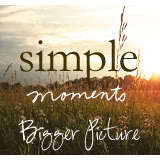 All receipts should be emailed to BPB4Joplin (at) gmail (dot) com to claim your prize. *Disclosure: All items for the auction were generously donated by the companies or artisans listed and linked to. 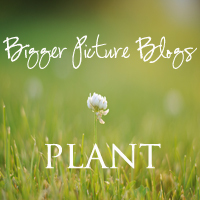 Bigger Picture Blogs and it’s writers have received no products or compensation for this event. All opinions are our own, all proceeds are being donated to the Salvation Army. woodworking, photography, videography, robotics, rocketry, chess, culinary arts, creative writing, gardening, kayaking/canoeing, mountain biking, yoga, fitness, archery and martial arts. Ideal for the camper looking for an inclusive community where individuality and creativity are respected. Bidding starts at $10 and increase by increments of $1. Your comment is your bid, please state how much you are bidding in the comment. If you are the first comment it must be $10. If you are not it must be at least $1 more than the previous comment. Please be as generous as you can! This is not about getting a good deal, this is about raising money to feed and house the people of Joplin. The Auction will remain open for through 7pm on Friday May 27. Winners will be notified by email and will have 24 hours to make their payment before we move on to the next highest bidder. Payments will be made as a direct donation to The Salvation Army listing the specific use as JOPLIN RELIEF. Your emailed receipt from The Salvation Army is your claim ticket to your prize. All receipts should be emailed to BPB4Joplin (at) gmail (dot) com to claim your prize. Donated by blogger Ayala at A Sun-Kissed Life, both bracelets are made of stainless steel cable featuring silver accents and are embedded with genuine diamonds. They measure 7 1/2 inches in length and have silver accents with a silver lobster clasp. 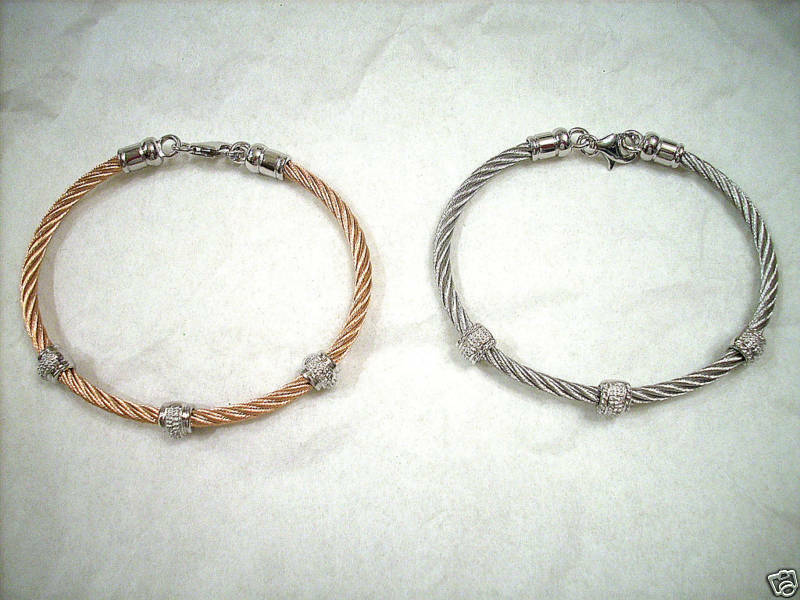 THIS AUCTION POST IS FOR THE BRACELET ON THE RIGHT.